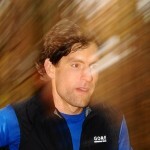 I am an enthusiastic (trail-) runner from Dortmund, Germany. After increasing my running „efforts“ over the last years at first (in 2009 and 2010) I was focussed on street races (10km, half marathon, marathon) only. But with Trailrun-Worldmasters 2010 Dortmund I was infected by the virus of trailrunning. I love the combination of sports and nature – and the specific challenges of trailrunning in smaller and bigger mountains. Ein Jahr voller Berge und Täler, Nebel und Sonnenschein! Auszeit, Wandel, Alter – oder einfach „Auf dem Weg!“? Auszeit – oder altersbedingter Wandel?! Today I recall our conversations last May on Møn about the U.S. political landscape. We never would have guessed that the election would have ended as it did. The only bright spot is that 3 million more people voted for Clinton than voted for Trump. Cathy and I are off to a march in Denver tomorrow– 40 000 people expected. Hope the two of you are well and look forward to seeing you in Colorado some time (don’t forget about the Pikes Peak Marathon! ).